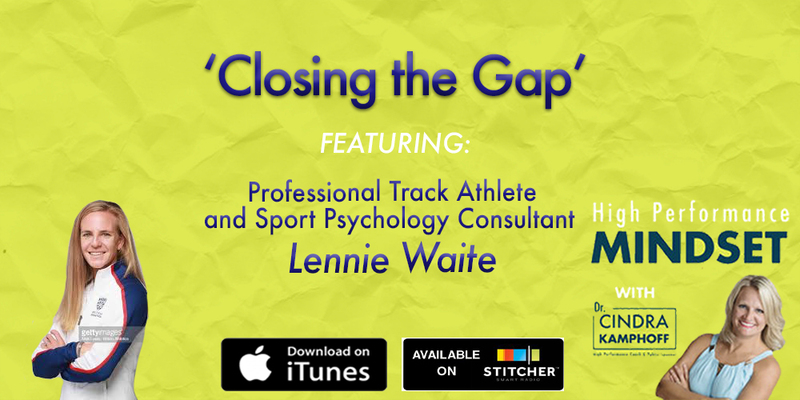 Lennie Waite is professional track athlete in the 3000m steeplechase and a sport psychology consultant. Waite attended Rice University from 2004-2009, where she played soccer and ran cross country and track. Waite left Rice as a school record holder, a two-time All-American, an Academic All-American, and a top 10 finalist for the NCAA Woman of the Year Award. After her career at Rice, she pursued her PhD in Industrial/Organizational Psychology at the University of Houston which she completed in 2012. A few months after earning her PhD in 2012, she competed in the 2012 Olympic Trials, finishing fourth and narrowly missing a spot on Great Britain’s Olympic Team. In 2016, she achieved her dream of becoming an Olympian and represented Great Britain in the 3000m steeplechase at the Rio Olympics. Lennie is currently preparing for her third Commonwealth Games for Scotland and raced in the 3000m steeplechase in the Gold Coast, Australia on April 11th. Lennie is also a Certified Mental Performance Coach (CMPC) and an active member of the Association for Applied Sport Psychology. She is passionate about developing athletes to their fullest potential. Contact Lennie on Twitter @Lenniew8 and Cindra on Twitter at @Mentally_Strong.